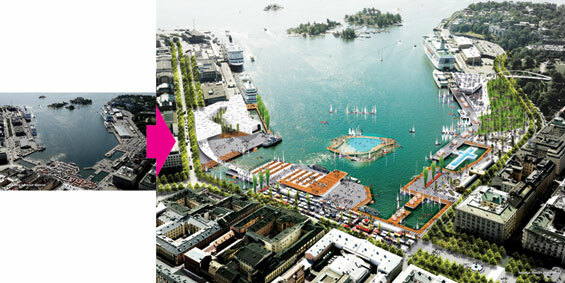 Helsinkiʼs South Harbour has the potential to become a world-class urban waterfront, cited alongside Copenhagen, Barcelona, Rio, Sydney and Hong Kong as among the most spectacular waterside public realms in the world. 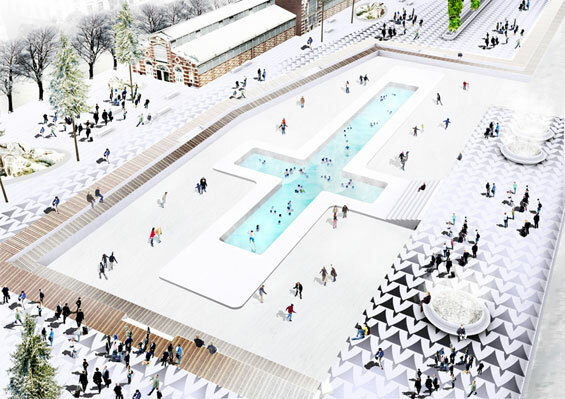 However, at present the harbour exists primarily as a working facility – a highly fragmented, disorienting tangle of streets, trolley lines, ferry queues, staging zones and restricted access areas all comprising a limited-access waterʼs edge. 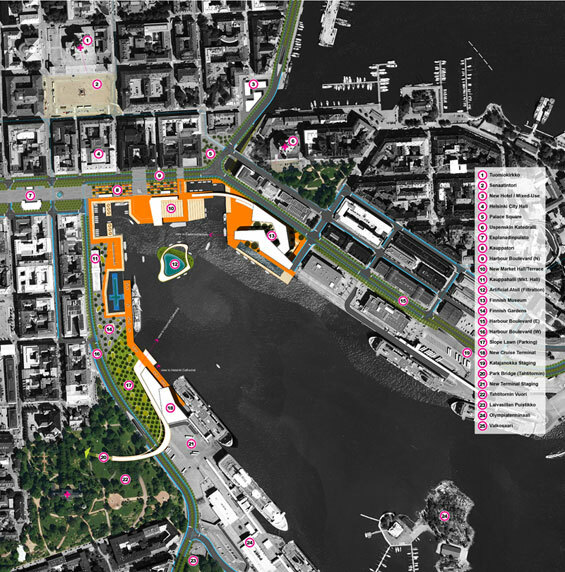 Even the harbourʼs most successful public facility, the Market, is dominated by automobile parking and servicing, leaving the public realm of the South Harbour a residual afterthought. 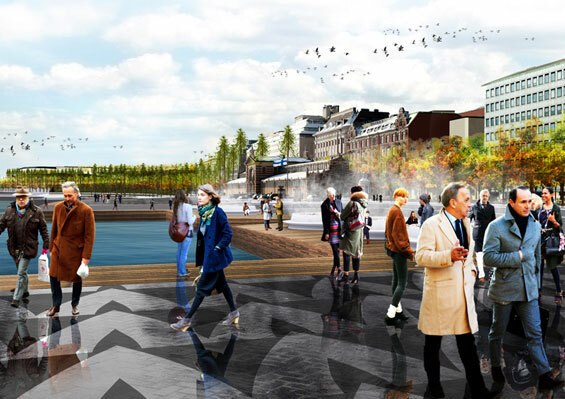 bespoke urban furnishing; and 6) anchor the new waterfront with four cultural icons. Individually, these are not radical moves. 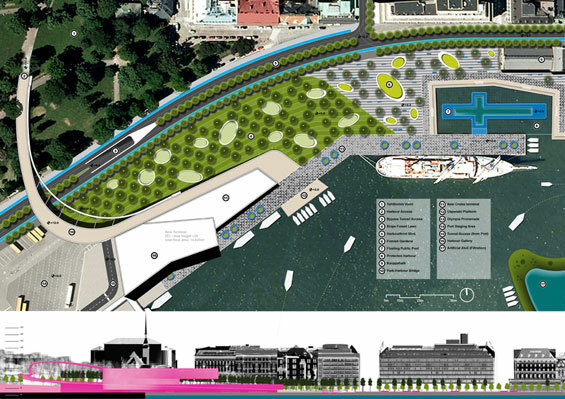 When considered collectively, however, these six operations create a complete reorientation and re-imagination of the role of the South Harbour within Helsinkiʼs metropolitan core.